I am Arif Khan from Australia. I came for by extensive dental work and hair transplant in India. I came to know about Forerunners Healthcare Consultants through the internet and I knew about the work profile and the high quality services which Dr. Dheeraj Bojwani is providing for the international patients from all over the world. 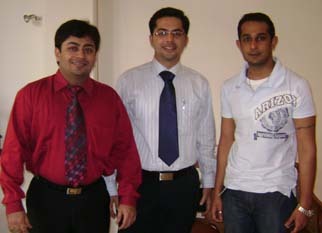 After my surgery was done I went to Goa and for that as well all the arrangement was done by Dr. Dheeraj Bojwani. Everything was very easy for me and I will be more happy to recommend Dr. Dheeraj Bojwani for his wonderful help and assistance for getting extensive dental work and Hair transplant surgery in India.